Bands must submit a professional video by April 13th, 2019 to be eligible. We will have 2 types of entries: Rock or Country. A panel will choose only FOUR bands (8 total) from the submissions from each genre to compete in the Battle of the Bands that will take place at Spillway Bar and Grill. The winner from each night will earn the spot to perform on the Vette City Motorcycle Music Fest main stage. The Rock winner will perform on Saturday and the Country winner will perform on Sunday. At the Spillway Bar and Grill Battle of the Bands you will be slotted only 1 hour to setup, perform and tear down or you will be disqualified. All competing bands are strongly encouraged to promote by spreading the word regarding the event as crown interaction and response WILL BE A HUGE PART OF THE JUDGING! Any disrespectful behavior and or damage to the sound equipment or property will result in automatic disqualification at the hands of the judges or management of Spillway Bar and Grill. Judging is done on a 1-10 scale by selected judges. 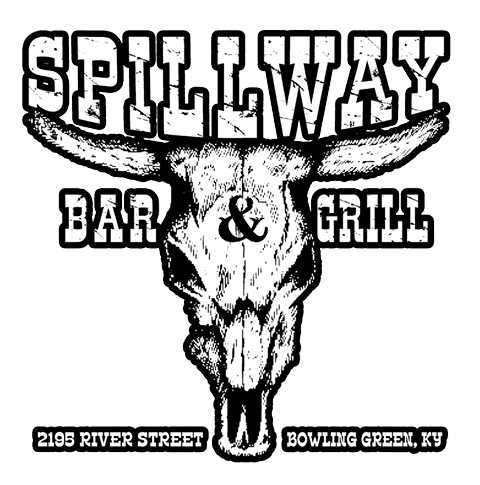 Spillway Bar and Grill and the Vette City Motorcycle Music Fest will not be held accountable for any broken equipment, injuries, or any other negative occurrences outside of staff control. DONT FORGET! Band submissions must be received by April 13th and will only be selected from bands submitting through this form. A professional video of your performance must be emailed to spillwaybg@yahoo.com before you will be considered. You MUST include the word BATTLE and your BAND NAME in the subject line of your email.